This article on how to be a social media assistant is a guest post by Julia. My first mobile phone was the size of my forearm. It came with a huge antenna and was thick as a fist. I was 12 years old and loved it. Today, I’m still in love with my mobile phone. It’s not the same one though. I replaced it with a slimmer version that doesn’t require a suitcase for itself. 2) I am able to carry my office in my pocket which allows me to work and travel where ever I want! And because of this leap in technology, I’ve been working remotely as a social media assistant for years now. In 2011 I quit my job to take a break and to travel the world. My plan was to spend six months solo-backpacking through Asia, Australia, New Zealand and South America. You can already tell that this wasn’t the brightest idea. Six months was way too little time. I quickly realised that I needed more time to travel and to actually spend time in each place. I wanted to get to know the people and their culture not just come through like a tornado and leave. I fell in love with travelling (*shocking*). Before I left my home country I worked as a public relations consultant and editor in chief in a communications agency in Munich, Germany. I was responsible for a team of copywriters and graphic designers and together we published for different clients from all sorts of magazines and advertisements. Shortly before I left, we also started to implement social media marketing into our portfolio. We tested the waters and back in those days only a few companies believed in the importance of a Facebook page (and Instagram wasn’t even born yet!). But we had a few clients who trusted our recommendation and let us set up their social accounts. For me, it was the beginning of understanding the value of social media on a professional level. These projects helped me learn, test and play around, which a few years later helped me become a freelance social media assistant all by myself. 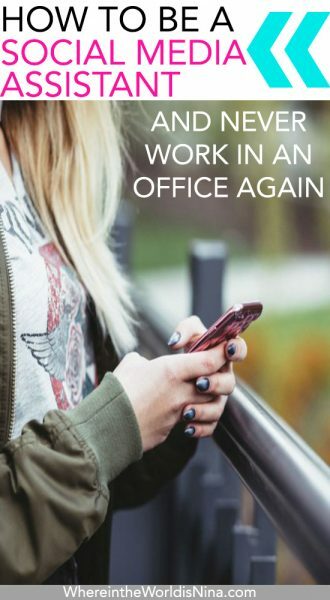 It was my gateway to a whole new world: thanks to my job as a social media consultant, I can now work remotely and travel full-time which I have been doing since 2011. I discovered the need for social media consultants right after I left my agency job and when I fell in love with travelling. I knew that I had to come up with a way to make money from the road. Remember, I didn’t have much savings but the last thing I wanted was to go back to my old life. Luckily, I am not the first and only one who is working remotely in a field like social media marketing. This helps a lot because there is actually a huge variety of job offers for remote social media content managers. No need to convince a company that you can do your thing from a tropical island! So the first thing I did was to start a blog. In the beginning, I wrote about my travels and to be honest, I had no idea back then that my blog would become my number one marketing tool in the long run. But as soon as I dove into the world of blogging, I realised how powerful a site can be to promote yourself. Many companies that I have worked for found me through my website, you unite with others in your niche, and then this causes a chain of reactions resulting in great connections. So, if you love writing and have a passion(s) for a field of interest that you can write about, then I suggest you start a blog, which is really just a way cooler portfolio. You don’t have to be an expert as long as you know a little more than your readers. 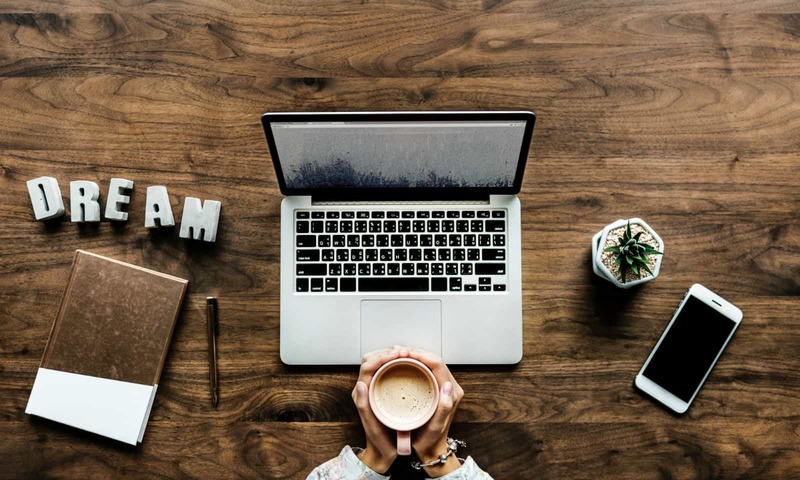 Consider your blog as the content hub which you then can connect with all your social media channels and you’re set. You’ve just created your digital business card. Landing a gig as a remote social media assistant will now be a lot easier. Be a social media manager from anywhere! So, the little girl who used to be in love with her phone turned 35 this year (that’s me). Yikes! But the fact that I’ve become older doesn’t change the fact that I still enjoy playing with my phone, like, ALL THE TIME. But the best part is that today I get paid to play with my phone—life isn’t bad! But while that sounds like all fun and lollipops this is actually hard work (seriously). Not the physical type of work, even though your thumbs will surely get buff, but mentally, like most “regular” jobs out there. My job can be absolutely exhausting at times but in a good way. You know, the type of exhaustion that actually feels great? When you’re a social media manager, it’s your job to spend time on Facebook, Instagram and Twitter. If you want to be a social media manager like me and you love spending time with your phone AND like to use those finger muscles of yours a lot, then consider a career in social media marketing! Can you tick off any of the following skills? If that sounds like you, perfect! Now, let me explain a little bit more what it takes to make money from managing social media channels. Because like I mentioned before, it is not all that easy if you really want to be successful with it. And this is very important to remember, there is a huge difference between being good and being a lousy social media marketing assistant. First of all, you need to LOVE and understand the different platforms. The love-part I think I’ve covered by now. Next thing you’ll want to focus on is how exactly Facebook, Instagram, and Twitter work, and you need to examine them thoroughly. I suggest you take it as seriously as an exam at university. You’ll have to study the in and outs of each platform to understand which of your moves cause what. As a successful social media content manager, you want to always be on top of things, know about new trends and gadgets, and understand exactly what those mysterious algorithm changes mean to you and your clients’ business. In the end, they hired you to rock their social media channels, so they are your babies even if you are posting in the name of someone else. Got it? There are many Facebook groups that are great to browse for trends and hot topics but also where you can find advice and support for your projects. They are also awesome to network in, many of my clients come through word of mouth. Working as a social media content manager gives me the freedom to travel. I suggest you join them all. 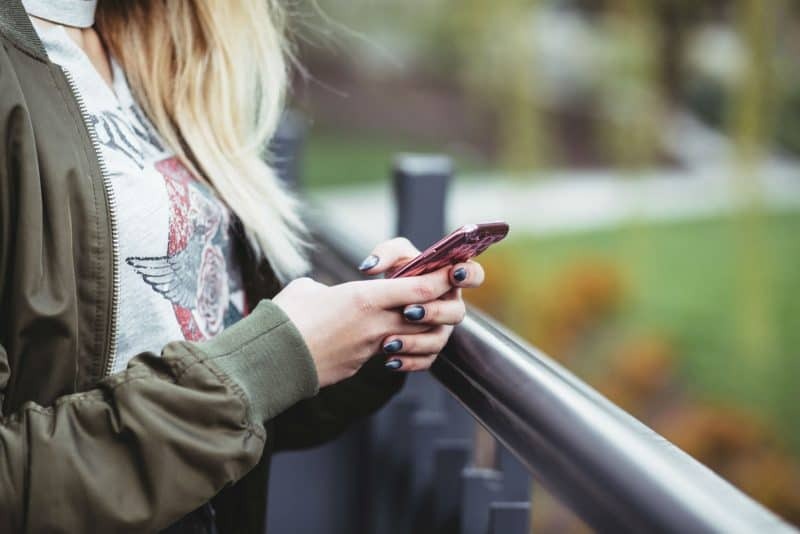 The first five groups listed are good to find remote gigs and in the last two groups, you’ll be able to stay on top of your social media marketing know-how and great to get advice and support. You create a content plan. You create the content for the content plan. You schedule all the content that is not related to a specific date. You engage and interact with the followers who reacted to your content. You engage and interact with potential customers and their content. You repeat all the above. A content plan is like the roadmap to a successful road trip. You need to know where you are going and how to get there. Otherwise, you’ll get lost. To put it into the context of social media marketing: each and every single post you publish needs to contribute to your overall mission. This could be: getting more followers, causing more engagement with existing customers/followers, promoting a new product or showcase your customer’s new business. Whatever it is you are trying to reach with social media marketing, you need to have a crystal clear vision of it. Everything you do and communicate has to have an overall connection. For example, as much as you love puppy pics or cute cat videos, they won’t do ‘your’ channels any good if your client is a company that sells insurances. Well…OK, I just had an idea how an insurance company possibly could use funny cat videos to show that their insurances are the answer for every downfall in life… But, that’s not necessarily the main type of posts they want to use. Do you get my point? Content is queen and context is king. Try to be the answer to every question(s) your audience has. Be always one step ahead and offer solutions. That’s why I initially said that being a social media manager can be exhausting at times. It really takes some brains to not only know who your audience is and what they want but also what they might want in the near future! 2. Schedule Your Content but Don’t Sound Like a Robot! But then again it isn’t as bad as it may sound! Once you’ve figured out your content plan (which you should always discuss and even brainstorm with your client to know exactly what he/she wants), and after you’ve done the biggest part of your job, the content creation, you’ll be able to switch to autopilot. Use those really great and helpful tools out there to schedule your content! I use Buffer, for example, to post my own content. And then I use Feedly and Hootsuite to schedule curated content. Check out this quick video tutorial to see how I do this. Make sure you automate as much as possible but as only as little as necessary. What I mean by that is that you have to be careful to not sound like a robot. And sometimes sudden events and news in your industry require a bit of an adjustment of your posts. Now that you’ve posted your news/article or product update, I’d say the most important phase is the engagement phase. 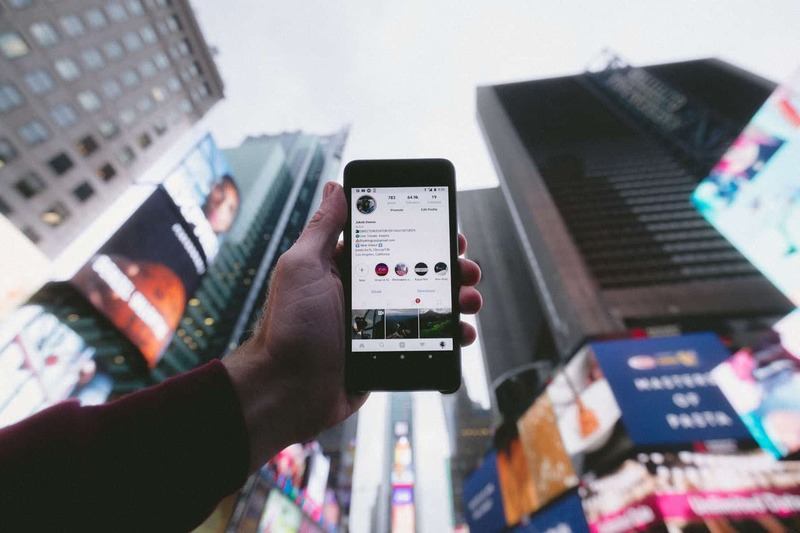 You cannot expect that you’ll be seen as soon as you shout out into cyberspace – especially because there are 2.5 billion people on social media who share their content too. 2.5 billion! It’s a tough one to stand out and to be seen. But if you are a social cyber warrior and help others to spread their message and if you have answers for others in groups and forums—you’ll be seen. Be authentic, not salesy. Be honest and transparent. People will soon remember and recognize you as an expert in your field. Working remotely as a social media manager is not going anywhere anytime soon! Social media is everything! 4. Where to Find Gigs as a Social Media Content Manager? I listed the Facebook groups above, but there are also other websites like Upwork, Freelance, and Fiverr that you can check out. Personally, I have never found any remote jobs through these sites and I feel like they are too big and anonymous to get through. That’s why I love Facebook groups where you get to chat with the person who posted an offer and you’ll see an immediate response. Another site that I can highly recommend to browse through is Nomadlist. 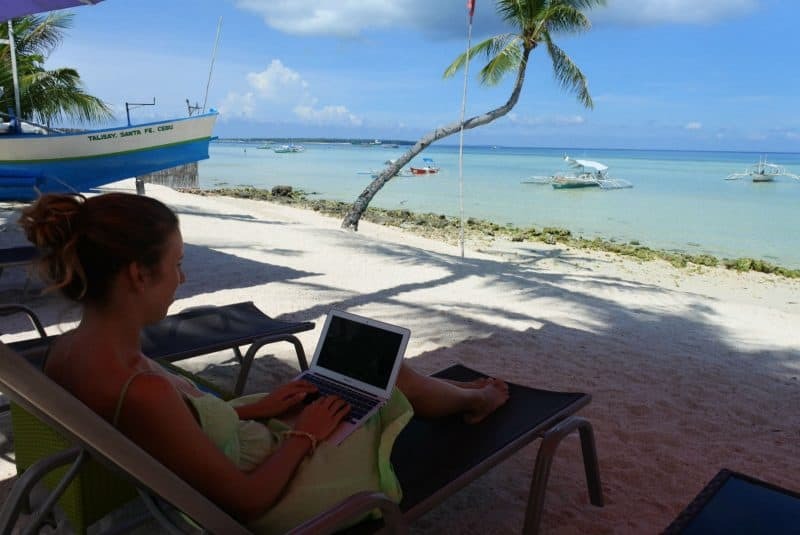 They have remote jobs listed and are a great resource for popular places for digital nomads. They have a paid membership option if you are interested to join their chat, but if you only want to have a look at their job board, you can go with the free version. And that’s it. The young girl who once fell in love with her mammoth phone and traipsing the globe found the exact perfect job to fulfill her life dreams of strong thumbs and passport stamps! So what do you think? 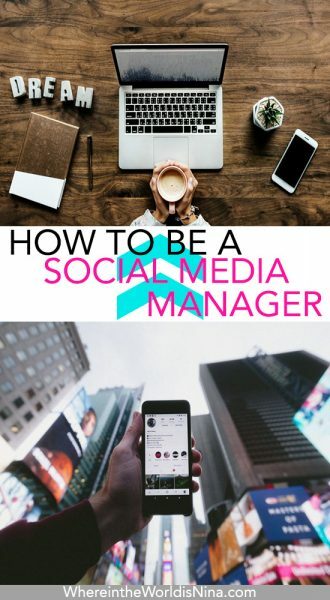 Are you up for being a social media manager? Let us know in the comments! Julia Jerg is a full-time digital nomad from Germany who works as a remote social media marketing manager and copywriter. She has lived, worked and travelled to over 90 countries since she left home in 2011. On JeyJetter, she writes about her location independent work-life and her passion for travelling. 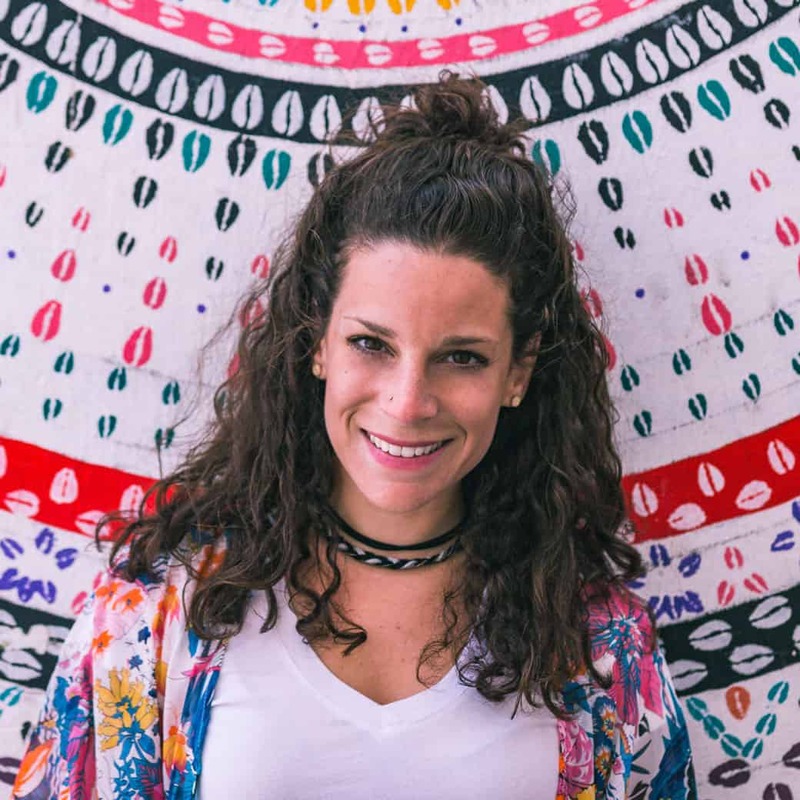 She provides travel tips and insights from her trips along with hands-on advice for anyone interested in remote work, long-term travel and life lived on your own terms. Click the pic to pin this for later! Most definitely. Struggling at the moment but I’ll get there. Thanks for the reply. I think I might hire a social media manager. I am glad somebody finally published what a social media manager entails. Is it also important to maybe have a niche that you know about so that you can better promote the product or business?